Cherri, who has homes in both Botswana and Zambia—where she knows everyone who’s anyone, including all the government VIPs—has spent the past 25 years creating unique African travel experiences that include canoeing the Zambezi River, running with zebra and giraffe on horseback across the Okavango Delta, and exploring remote corners of Africa including Ethiopia, Madagascar, Mozambique, and Sudan. She books directly with service providers, cutting out middlemen to ensure that her clients get the best value and the smartest selection of lodges and camps. 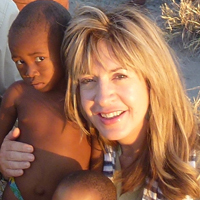 Cherri has worked in conservation for decades, has served on the boards of African conservation organizations, and works only with lodges that follow the best sustainability practices and support local communities. In 2013 she was appointed Honorary Consul to the USA by the Government of Zambia, and in 2014 she became the first non-citizen to be appointed to the Botswana Tourism Organization. Trips start at $1,000 per day for two travelers. Accommodations are inexpensive; what you’re paying for is smooth, efficient logistics and the finest English-speaking drivers /guides. Masoala National Park is a treasure, perfect for nature lovers seeking pristine primary rainforest, insanely pure beaches, and prolific marine wildlife. It has it all, without the crowds. 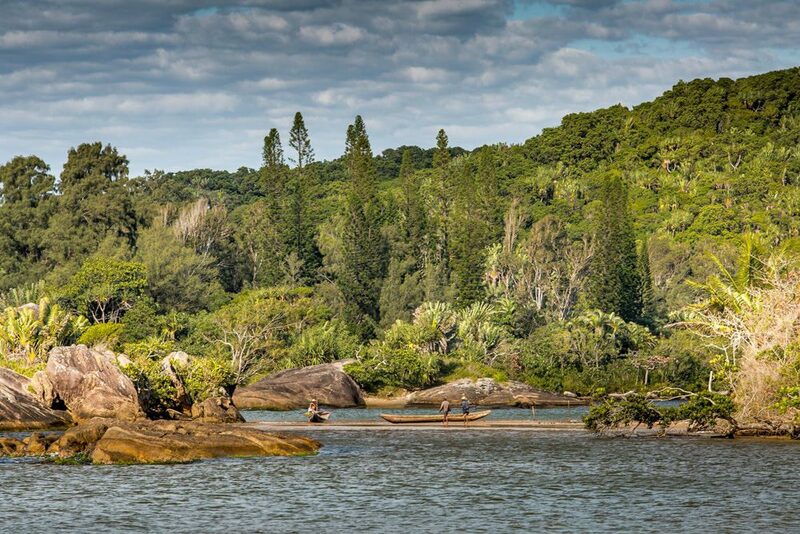 Activities include guided forest walks, kayaking, snorkeling, river canoeing, sunset sails on dugout canoes, cultural visits, and whale watching. Mandrare River Camp, in the far south of the park, is undiscovered and as authentic as it gets. Highlights there are the cultural performances by warm residents of the region, local wrestling matches, kayaking across the river to visit ancient burial sites, and guided hikes to the rare spiny forest for finding yet more endemic species of lemurs. Nosy Be, an island off the northwestern coast, is chockablock with large, all-inclusive resorts that draw European sun seekers. The most populated areas are seedy and known for a thriving prostitution industry and mass tourism. 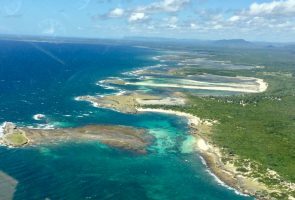 The sea is unimaginably beautiful here, though, so I recommend nearby outer islands (see “Cheap thrill” and “Meal worth the splurge”), where you’ll find perfect white beaches, vibrant marine wildlife, and privacy. 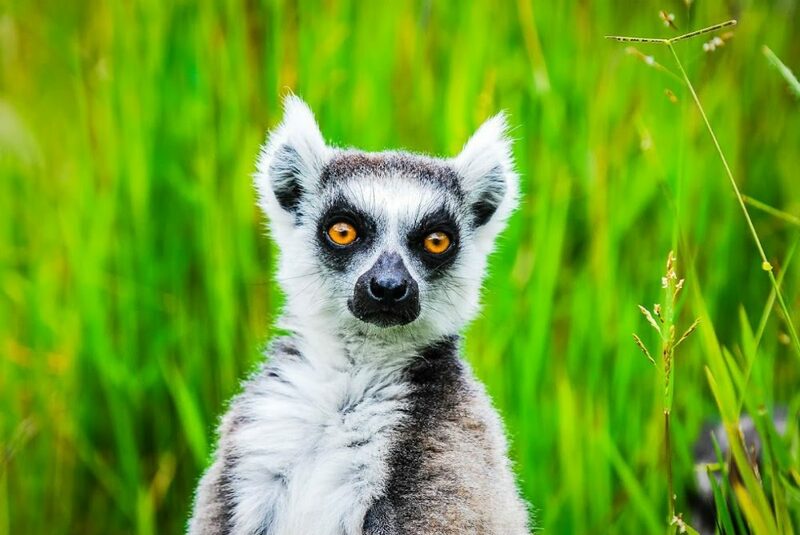 Berenty, in the far south, is known for its ring-tailed lemurs and dancing sifakas, but it’s a highly contrived environment and not a favorite of conservationists. Many of the lemur species aren’t indigenous to the area and are fed like zoo animals to create a profitable tourism experience. The new Museum of Photography in Antananarivo: It’s filled with old photographs and in-depth descriptions about the history and culture of Madagascar, and the superb café has a great view of the city. Snorkeling with whale sharks—the world’s biggest fish–off Nosy Sakatia, a small island to the west of Nosy Be. You can go with a group, but a private snorkel experience is only a bit more expensive and worth the extra cost. From July to October, see a Hira Gasy show in Tana. A musical tradition, particularly among the Merina ethnic group of the highland regions around the capital, it’s a daylong spectacle of music, dance, and kabary oratory, performed by troupes typically related by blood or marriage, and it’s free for anyone to attend. Visit Black Lemur Camp, a unique community conservation project that protects the world’s only black lemur species. 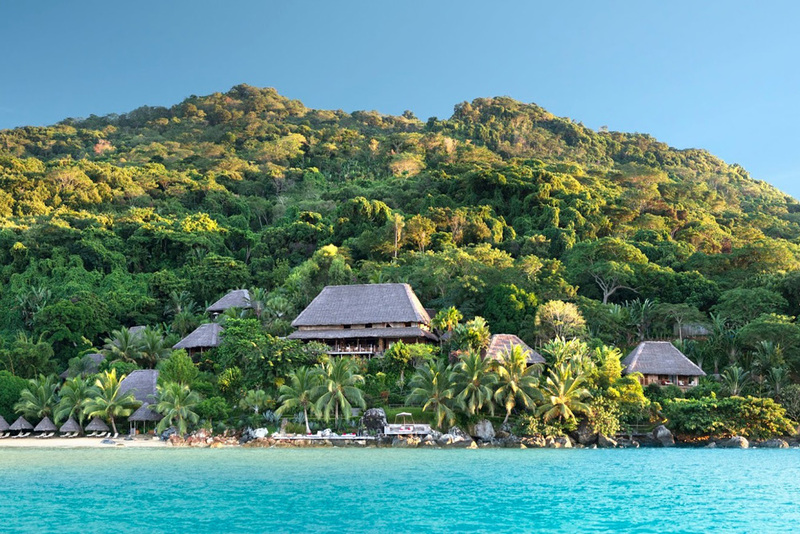 If you don’t want to overnight in the camp’s small thatched cottages, you can fly there by helicopter from Miavana, Madagascar’s most exclusive private-island resort. You must be relatively fit and passionate about the environment to enjoy this somewhat basic excursion. I can arrange special meetings with the researchers or (if the timing is right) participation in the collaring or medical-data collection of the lemurs. It’s also possible to see the critically endangered golden-crowned sifaka. Antananarivo’s six-room Lokanga Boutique Hotel. It’s a charming French colonial property—decorated with antiques and old maps and photographs—that offers million-dollar views, wonderfully warm staff, and great food. My favorite rooms are the two on the top floor, which look out over the city. I love to start a trip to Madagascar with sunset cocktails on the terrace. Our travelers receive a complimentary bottle of wine and snacks upon arrival. The Citizen, in Tana (shorthand for Antananarivo), is a casual place that serves five-star food on a lovely terrace overlooking the city. The crowd is as diverse and interesting as the cuisine, with expats and diplomats from all over the world mingling with local VIPs. Mofo Gasy, Madagascar pancakes made of cassava flour. The best are at Maison Gallieni Guest House, but they are only available to travelers staying there. Zebu (local beef) in Tana, seafood on the coast, and fantastically inventive organic vegetarian dishes everywhere. Madagascar has inherited amazing gastronomy, thanks to its varied Asian, African, and European influences. 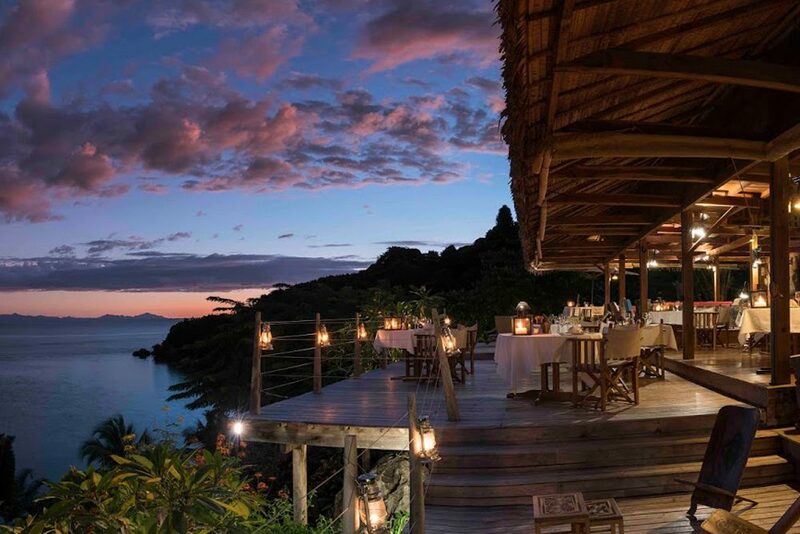 The Divine House restaurant of Tsara Komba Lodge (on a tiny island off Nosy Be) is a small miracle of gastronomic perfection. Chef Tiana regularly trains at Michelin-starred kitchens in Paris and creates food on par with his restaurant’s impeccable views. His use of local spices—including rare pepper and herbs that grow only in a particular forest of Madagascar—is worth traveling halfway around the world for. May through October. 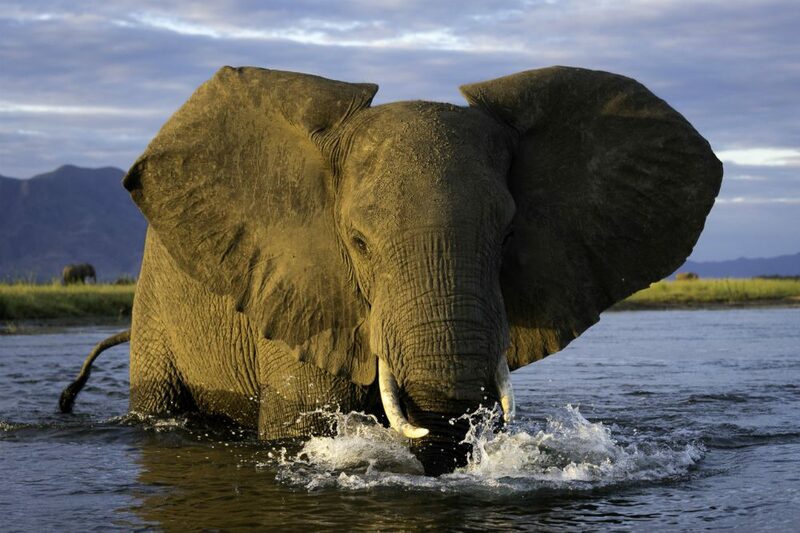 The rains end in April, and the country is lush and green—with mild temperatures, dry weather, and good wildlife viewing—until early August. 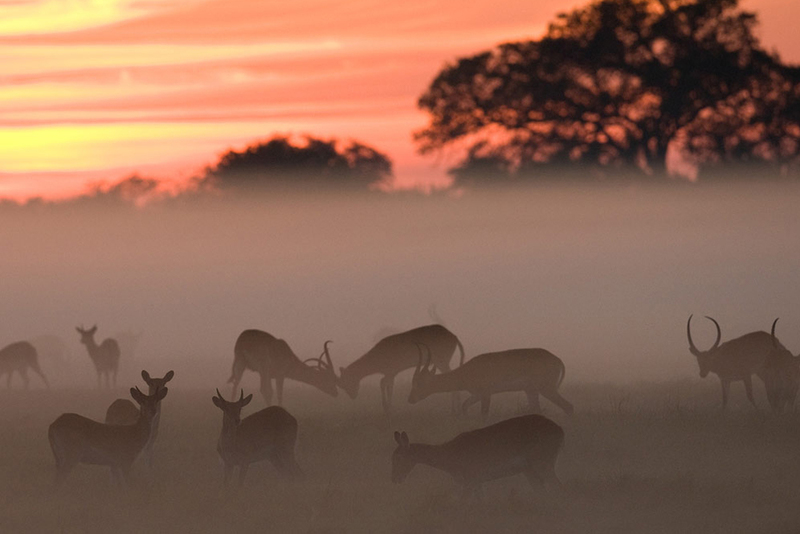 The wildlife viewing improves as the country becomes dryer and hotter in September and October—but that is peak season, so the parks are more crowded. October and November are whale shark season—the best time to see the marine wildlife off the island’s east coast—and also lemur birthing season, when the baby lemurs can be seen clinging to their mothers. January through March, when the cyclone season and heavy rains hit and many of the roads and parks are closed. Underestimating the distances. Madagascar’s roads rank as some of the world’s worst. You can’t quite imagine the bone-jarring conditions, so be conservative regarding long-distance driving. 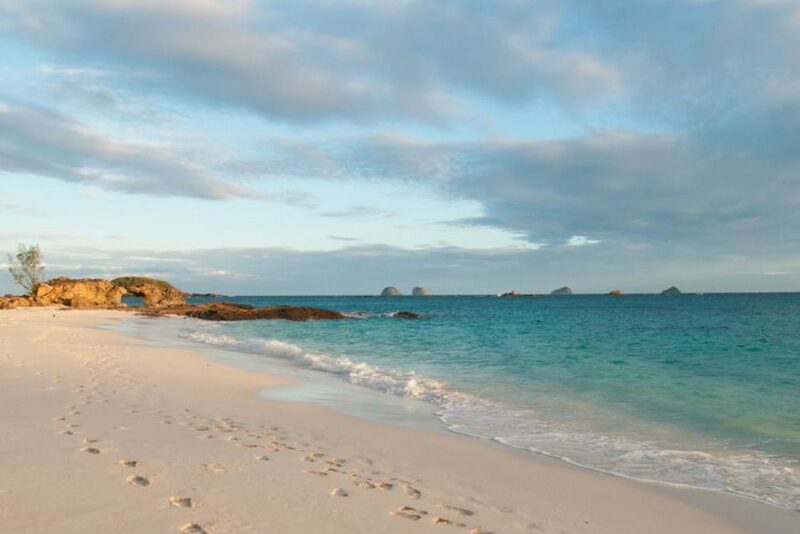 Although it is technically an island, Madagascar is in fact almost 1,000 miles long. 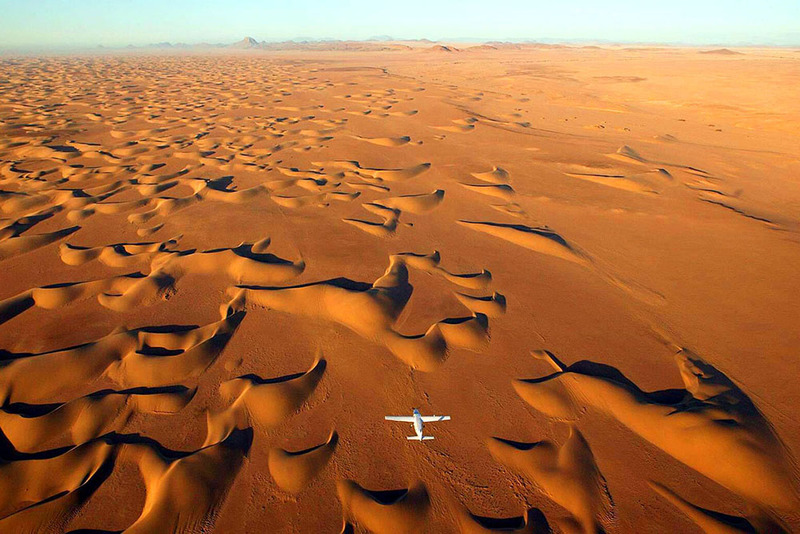 The logistics of getting from place to place can be frustrating, so either focus on a few relatively accessible areas or break open your piggy bank and splurge on private charter flights to the pristine, remote spots. 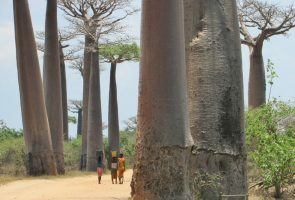 Everyone wants the iconic photo of Baobab Alley, near Morondava. As stunning as this road is, it’s often crowded and has recently been fenced to keep the tourists corralled. If you’re committed to making the trek, sunrise and sunset are the best times to visit. 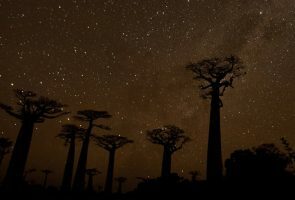 I’d rather pass on Baobab Alley and instead focus on capturing the unique wildlife in remote parts of Madagascar. Snapping a photo of the iconic ring-tailed lemur sitting on a spiny branch of an endemic plant in the Spiny Forests near Ifotaka is more satisfying and will keep your Instagram buzzing for days! In central Madagascar, women’s cooperatives create hand-woven scarves and blankets from indigenous Malagasy silk. You can purchase these beautiful items directly from the women who produce them in and around the village of Antsirabe or in the main artisan markets in Tana, thus supporting economic development in rural areas. When you visit you get to see the whole fascinating process—from harvesting and spinning the silk directly from the worms, all the way through to the final touches—and it is humbling to see the hard work and artistic skill required. Overpaying for handicrafts—unless you bargain hard. As the Malagasy saying goes, “Good bargaining is not used to harm but to strengthen relationships.” If you want to avoid the hassle of prolonged negotiations, visit the established boutiques with high-quality handicrafts and fixed pricing. However, the vibrancy of the local markets and charm of the people make the haggling worth it—and it’s always good to support local artisans. 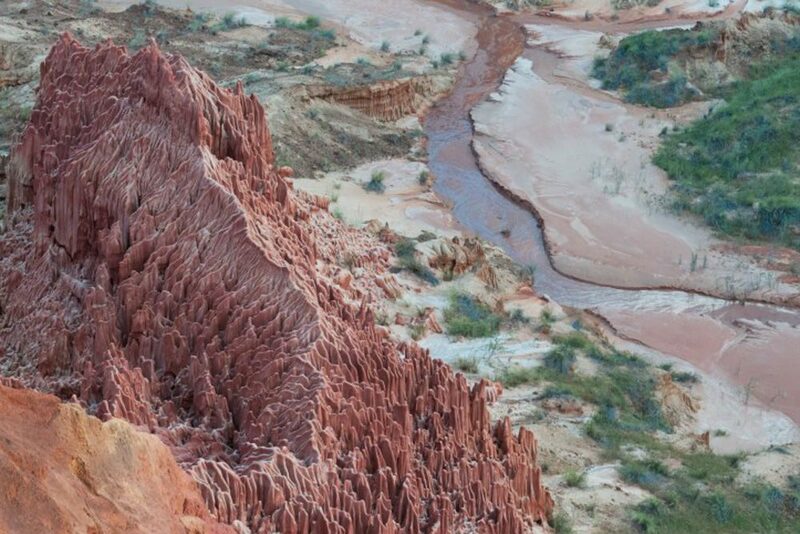 Madagascar’s poverty level is extreme, and every penny helps—so don’t negotiate too hard. Night Sky: Identify the constellations in the southern sky. Maps.me: A free, offline mapping app that will keep you on track in the trickiest of foreign cities. Any of the English-to-Malagasy dictionaries; they have features you can use offline. 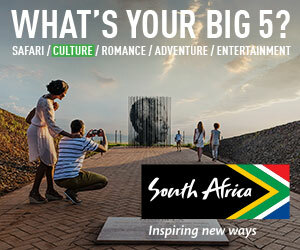 Get your visa online before your trip to avoid queues. The duty-free boutiques do not accept local currency, so don’t plan on spending your remaining Malagasy Ariary there. You can’t count on Air Madagascar’s erratic, ever-changing schedule; unless you take a private charter, expect surprises, diversions, and delays along the way. Be flexible, or be stressed—take your pick. Extra toothbrushes and soap to donate to children and women in the countryside, where shops can be scarce and locals may not have the means to purchase these basic items. Photos of where you come from and your family and pets; in no time, you’ll have a big crowd of kids around you! Soccer balls, jacks, and jump ropes are also magic tickets to making quick friends in rural areas. Never pass out sweets or other items directly to children, as it will quickly create a culture of begging; rather, give to people you meet in private settings, or bring supplies to a school or medical clinic. Insect-repellant wipes. That way you need not douse yourself in unnecessary chemicals or worry about the bottle spilling in your luggage.